Whether you’re starting your first podcast or looking to upgrade your existing podcast setup, it can be overwhelming reading every blog and trying to figure out what gear you should buy. On the one hand, you aren’t a gazillionaire so you can’t afford the suped-up studio mics everyone says are the best, but you also don’t want to sacrifice audio quality when you don’t have to. What is a podcaster to do? Every podcaster’s needs are different and depending on the kind of podcast you produce our recommendation will change. Rest assured, once you finish reading this blog you’ll know exactly what you need to sound like a pro without stealing from your kid’s piggy bank. If you’re just getting started, there is only one microphone we recommend - the Audio-Technica ATR 2100. This is the microphone we currently use to record all of our voiceovers at Buzzsprout because so simple to use and generates excellent audio. There are a couple of reasons why we’re such fans of this affordable microphone. Most microphones have either a USB or XLR connector on the back. XLR is the audio industry standard and is used by rock bands, radio stations, and artists around the world. The main drawback with an XLR microphone when you’re first starting is that you need to buy a bunch of other gear to connect it to your computer. Not ideal. The ATR2100 is unique because it has both connectors! You can start out using the USB connector and then switch to XLR as you continue to invest in your podcast down the road. Chances are you don’t have a soundproof room in your home or apartment. Because of how the ATR2100 is designed you don’t need one. You can be chilling on your couch, sitting in your office, or recording in a hotel room and your audio will still sound great no matter what. Even if your neighbor is going to town on their shrubs next door, this microphone is designed to focus on your voice, so you don’t need absolute silence when you go to record. Audio engineering 101 dictates that you monitor your sound as you record. Many fantastic interviews and conversations that would have made podcast gold are relegated to the scrap heap because something wasn’t plugged in correctly. You never want your microphone to be the reason you can’t use an audio recording! By having a headphone jack built right into the microphone you can monitor how you sound as you record, so you know it’ll turn out exactly how you want it. The built-in headphone jack is not a standard feature for most microphones, so all the more reason why we can’t say enough about the ATR2100! *To get the best possible audio quality with your ATR2100 we recommend picking up a foam microphone cover ($7). The foam cover will cut down on your “P’s” and “S’s” and help you sound like you’re in a professional recording studio. If you’re looking for something a little better than just the beginner setup we recommend adding a couple of accessories to get the most out of the ATR2100. The Rode PSA1 Boom Arm is a versatile and adjustable stand that holds your microphone for you. It allows you to bring the microphone right up to your mouth (which gives you the best audio quality) and leaves your hands free to scribble notes, adjust your audio settings, or scratch your nose. It can attach to any desk or table using either the desk-clamp for temporary use or the desk-insert when you don’t plan on moving it. This boom arm will support most microphones so even if you upgrade to a pricier microphone down the road you’ll never have to upgrade your microphone stand. You’ll also want to pick up the Stage MY-420 Shock Mount. By pairing the shock mount and the boom arm together, you’ll eliminate the “thuds” and “pops” that can sneak into your audio when you happen to set your hand on the table your microphone is on or accidentally bump into your microphone while talking. By pairing the ATR2100 microphone with the Rode PSA1 Boom Arm and On Stage MY-420 Shock Mount, you can get clear audio at a reasonable price. With this pro-level podcast setup, you’ll never need to upgrade (unless you want to). With this level, you’ll get excellent audio quality in a simple recording setup. It’s everything you’ll ever need without overcomplicating things. The Rode Procaster is a phenomenal, broadcast quality, dynamic microphone. It’s excellent at picking up just your voice and not the neighbor’s dog barking outside or kids running around in the living room. The crisp audio means you won’t hear the static buzz that often accompanies cheaper microphones so it’ll sound like you’re recording in a professional studio instead of your spare bedroom. There are more expensive microphones for sure, but when you test them side-by-side, the Procaster is easily near the top concerning performance. In addition to picking up the corresponding Boom Arm and Shock Mount for your Procaster, you’ll also need a couple of other accessories. First, you’ll need a USB interface of some kind. Unlike the ATR2100, which has a USB interface, the Procaster is an XLR microphone. That means you’ll need to connect the microphone to your computer using a USB interface so you can record your audio. We recommend the Scarlett 2i2 USB Interface to pair with your Procaster. It has built-in gain so you can adjust the microphone volume, it has a direct monitor input so you can listen to your voice without lag or latency, and can provide 48V of phantom power should you decide to pick up a microphone down the road that requires it. It also has two microphone inputs, so if you want to record two people simultaneously, you can. If you only plan on recording yourself, you might consider going with the Scarlett Solo USB Interface (only one microphone input), but we recommend shelling out the extra dough just in case your plans change down the road. Second, you should pick up Rode’s WS2 Windscreen. Like the foam covers we recommend for the ATR2100, this windscreen will cut down on your plosives (P’s and S’s) and is explicitly designed to work with the Procaster. Last but not least, you’ll also need to pick up an XLR cable. The Procaster bundles on Amazon typically do not include this cable, but you’ll need it to connect your microphone to your USB interface. Don’t get the cheapest cable you see, but don’t feel like you have to spend $30 on one either. If you read our take on the ATR2100 earlier in the blog, you’ll already know why we’re such big fans of it as a microphone for podcasters. We’re glad you asked. If you have two identical USB microphones plugged into the same computer, your audio recording software won’t know what to do. It won’t know which microphone is for you, which one is for your cohost or guest, and how to select the inputs accordingly. You could use two different USB microphones to get around this, but it will negatively affect your audio quality. When you are speaking into one microphone, and your partner is using a different microphone, the tone and overall sound will be different. It’s better to utilize the ATR2100’s XLR connection alongside a separate USB interface to get the best audio quality. The pro-level interview setup is the same as the pro-level solo setup but for two people instead of one. That means two Procaster bundles, two windscreen/foam covers, and two XLR cables. The only thing you don’t need two of is the USB Interface since it already has two inputs. For our take on why we love this setup read the pro-level solo setup earlier on in this blog post. By pairing our favorite podcast microphone with the Zoom H4n Pro recorder, you’ll have everything you need to capture crisp audio on the go. The H4n is the gold standard in portable audio recording and has long been a favorite of audio and video aficionados everywhere. It offers two XLR cable inputs, a built-in X/Y stereo microphone, and advanced features such as time stamping and phantom power. Rugged, lightweight and versatile, the H4n is an excellent audio companion for podcasting. The H4n also comes with everything you’ll need to get started - SD card, USB cable, and windscreen. Just pop in some AA batteries, and you can record from anywhere on the planet without a laptop. Want to record with your cohost on location or interview a guest in their office? Just add an additional ATR2100 and foam cover to the Mobile Solo setup and you’re off to the races. Now that you know what you need to great high-quality audio within your budget, pull the trigger and invest in what you need to make your podcast as great as it can be. Having the right setup will pay dividends for years since all that helpful content you’re putting together won’t be getting held back by inferior audio quality. 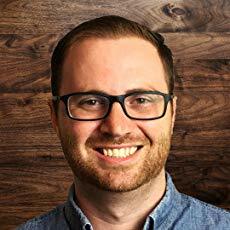 Travis Albritton is the Head of Content for Buzzsprout and host of The Practical Christian Podcast.